"The Hurtgen Forest was an horrible place in which to fight. Dark and dense, even the sun’s rays produced only a twilight effect at noon. The weather could not be much worse, rain and temperatures just above freezing during the day, dropping below freezing at night, freezing the water in the men’s foxholes. At night, the soldiers slept shivering in their foxholes wrapped in raincoats and whatever else they could find. Fires weren’t built because they brought down a rain of German artillery. Because of the constant rain and cold, many of them would end up with hypothermia and trenchfoot. Mud was axle deep. Jeeps got stuck and laced boots were pulled off soldiers’ feet. The dense forest made it nearly impossible for either side to adjust their artillery. Artillery shells bursting in the tree tops splintered the trees, showering the soldiers below with fragments of wood and steel. Those who fought there maintained, 'Show me a man who was in the Hurtgen and if he says he has never been scared, he is lying'." "In the (Huertgen) forest proper, our gains came inch by inch and foot by foot, delivered by men with rifles-bayonets on one end and grim, resolute courage on the other. There was no battle of Europe more devastating, frustrating, or gory." Maj. Gen. William G Weaver, Commanding General, 8th Infantry Division. 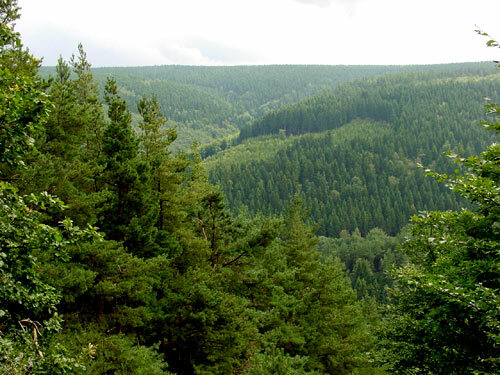 The Huertgen Forest was a dense, primordial woods of tall fir trees, deep gorges, high ridges, and narrow trails: terrain ideally suited to the defense. The Germans had carefully augmented its natural obstacles with extensive minefields and carefully prepared positions . . . The closely-packed fir trees rise seventy-five to one hundred feet above the damp rigged floor of the forest, allowing little light to filter through. Orientation within the forest was very difficult. Not surprisingly, many units lost their way in the woods. Observation was mostly limited to a few yards; adjusting artillery fore by sight was utterly impossible. Movement was severely curtailed: trails and firebreaks were almost invariably blocked by felled trees and infested with anti-personnel and anti-tank mines, often fitted with anti-lifting devices. Booby traps were everywhere. The weather was, perhaps the soldier's greatest enemy. It rained for days on end. Mist and freezing cold made life in the forest miserable. As the autumn progressed, rain turned into sleet, then into snow. The Hurtgen Forest was wet; it was muddy; it was cold; it was miserable. Mud was melted chocolate ice cream, ankle deep. Trees were no longer trees; trees were toothpicks, a result of thousands upon thousands of shells which had reduced the forest to splinters. "It was a place where it was extremely difficult for a man to stay alive even if all he did was be there. And we were attacking all the time and every day." "In Hürtgen they just froze up hard; and it was so cold they froze up with ruddy faces,"
"Go outside on the coldest, wettest, most miserable day you can find, throw in some snow, ice, fog and mist. Then dig a cold, wet, lonely, muddy hole and live in it like an animal for weeks at a time, that's what the Hurtgen was like." "I vowed myself during the battle that if I got out alive, I would never be cold or hungry again." Bob Hyde, .30-caliber machine gunner with the 109th Infantry Regiment of the 28th Infantry Division. "The Hurtgen Forest was the worst. Nobody liked the forest because of the tree artillery. German 88 artillery shells hit the tops of the trees and shrapnel would rain down on the American soldiers in foxholes below. Even guys dug in with tree branches over their foxholes were hit by shrapnel in the Hurtgen Forest." "It was slow going taking the wounded back from there at night to the aid station miles behind the lines. I'd have my assistant ambulance driver walk in front of the vehicle holding a little red strobe light I could see. It would take us all night to make one trip." Sgt. Ed Erving an ambulance driver in 5th Armored Division during World War II. Close-ranked fir trees, towering 75-100 feet made the Hurtgen Forest a gloomy, mysterious world where the brightness of noon was muted to an eerie twilight filtering through dark trees onto spongy brown needles and rotted logs. Here "the near one hundred feet tall dark pine trees and dense tree-tops gave the place, even in daytime, a somber appearance which was apt to cast gloom upon sensitive people." It was like a green cave, always dripping water, the firs interlocked their lower limbs so that everyone had to stoop, all the time. The forest floor, in almost perpetual darkness, was devoid of underbrush. Add to this gloom, a mixture of sleet, snow, rain, cold, fog and almost knee deep mud. In this dense and somber forest of pine, men battled snow and mud and frigid weather as well as an entrenched and fiercely resolute enemy, were prevented from maneuvering or deploying by the trees, the mud, the ravines and the extensive mine fields. Advances, therefore, had to be made in bitter yard-by-yard struggles against the well-placed Germans who fought here with savage tenacity. The attackers were subjected to tremendous concentrations of artillery and mortar fire directed from observation posts on high ground, across the Roer River. Foxholes offered little protection since the shells burst in the tree tops and sprayed the ground below with their fragments. After each long, miserable and sleepless night spent in the icy foxholes, men numb from the cold climbed out at dawn to begin another attack. As they pushed forward through the thickly sown mine fields, the bursting shells and sniper fire, they watched their numbers dwindle. Each gain of a few yards exacted a frightful price in dead and wounded. And to the collecting stations in the rear flowed the heartbreaking procession of the wounded, some walking and the others on litters. "The Germans patrolled heavily during the very early morning hours, 3 or 4 am, trying to see what we had where. We had many fights through the trees, in the shrubs, not really seeing a damned thing. It seemed like we were there forever, always cold, it was so cold in the trees. And when it was all over, out of my whole company, there was me and an old Sergeant left. That was it. We were the only ones." Many of the combat veterans who fought through the D-day landing and later the Hurtgen Forest remarked that Hurtgen was by far the bloodiest, most filthy fight they had encountered. They knew then they were really the front line riflemen. It was in such a battle as this that the true heroism of the infantry doughboy came forth. There is no other branch of the service where the men must eat, fight, and live in the mud. These heroic men fought continuously within fifty yards of the enemy, often with actual physical contact and with sure death only seconds away. These men ate the issue rations when they were frozen, muddy, and stale. Fires were unheard of. These men lived day and night in the bloody slime to be found only in the Hurtgen Forest. It was not an uncommon sight to see a dead soldier with the pit of his stomach ripped open, with his head blown completely off, with his back broken by shrapnel, or to hear the wounded scream in terrifying pain with their legs or arms completely blown off by an enemy shell. "That battle (Hurtgen Forest) became so unendurable that we didn't care whether we lived or died. We tried digging in but every time we scooped out a shovelful of mud the hole filled with water and more mud. We said the hell with it and just lay down in the mud to sweat out the shells." "When survivors retired from the Hürtgen Forest, they crouched in their vehicles, staring straight ahead. If there were heroics to recount, someone else had to talk. The men of this unit (28th Inf.) would not. Too many of their companions remained behind, too many were dead or missing. Too many grievously wounded and shattered in nerves and spirit. If they never saw the Hürtgen Forest again it would suit them. If they never traveled in fragrant ravines, pitched another tent or hewed out a hut to ward off fragments and falling treetops, if they never saw a timbered slit trench, or smelled the tangy odor of burning cones and felt the springy needles underfoot, they wouldn't care. They had enough. They hated the Forest and all it defended. They hated its roads and ridges. They hated its cold and dampness. They hated its lurking death and the constant feeling of unknown danger. Yes, they hated the Hürtgen Forest where the stately Douglas firs with their epaulets of snow, ranged like frosted grenadiers, close ordered on hillsides -- immutable, impenetrable, defiant...."
A captain complained: "We are taking 3 trees a day, yet they cost 100 hundred men apiece." "For us the Hurtgen was one of the most costly, most unproductive, and most ill-advised battles that our army has ever fought." "The German Command could not understand the reason for the strong American attacks in the Hurtgen Forest...the fighting in the wooded area denied the American troops the advantages offered them by their air and armored forces, the superiority of which had been decisive in all the battles waged before." " My knowledge of the battle in the Huertgen Forest was what I could see, hear, smell and taste, and in those thick woods that is not very much." Quote by Richard H. Stewart, Company I, 110th Inf. 28th Div.
" Hurtgen Forest that was the hardest thing I saw. Small arms, mortars and artillery — was there anything they didn't use on us in there? Our Company was using up one hundred replacements a day. They told me afterwards that only seventeen men were left in C Company when they were relieved by the 8th Division." Quote by Pfc Harry C. Foss, Company C, 110th Inf. 28th Div.
" I saw the whole show from Normandy to VE day on the Rhine — that is five battle stars. The worst I saw was at Schmidt, near Aachen where the Germans threw everything they had to stop us. We took it the first day and lost it two days later. That is the only beating the 28th Division ever took, and we well made up for that before the war was over." Quote by S/Sgt , Charles Reale, Company C, 112th Inf. 28th Div. "When I gave uncle Jack your web site address he responded by telling me he still sees the Huertgen Forest every night, pictures aren't necessary." Quote made by Jack E. Messersmith, Company B, 12th Inf. 4th Inf.Div., to his nephew. "I smell death when I see a pine tree. I would never have a Christmas tree when I came home." who recounts the aftereffects of his time in the Huertgen Forest. 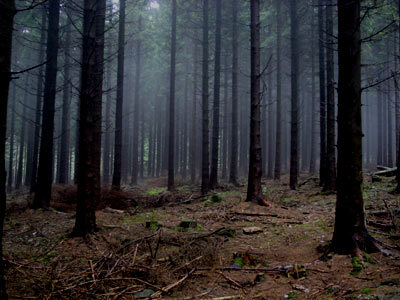 "The hardest going I experienced was in Hurtgen Forest. When we were first there steady rains made the roads muddy and going hard, later it was bitterly cold. The Jerries threw in an awful lot of artillery all the while. Trench-foot cut down our strength steadily. The woods were full of mine fields. The forest had been torn and mangled and its remnants were strewn about and made moving up hard going. Shell bursts in trees were very bad. There were always a lot of wounded. Our Company alone had 113 casualties in the forest. The Germans were still fighting in there. They had wonderful positions, well dug in. This was all before the Battle of the Bulge and they were holding there at any cost to retain possession of the dams on the Roer River.."
Quote made by S/Sgt. Morris Rubinsky, Co. I, 121st Infantry Regiment, 8th Infantry Division. "You got so scared, it wasn’t funny. And let me tell you, there were no atheists in the foxholes — it’s true. It was indescribably dangerous and, looking back, it’s hard to believe you did that. Not because you were a hero. It’s because you were there, and just had to do it." Quote made by Camille E Pepin, 121st Infantry Regiment, 8th Infantry Division. "The Huertgen Forest was drenched in bone-chilling drizzle and cloaked in steamy mist and no rays of sunshine could pierce the canopies of majestic trees." "My memory carries pictures of a wet inferno where fir trees and flesh were torn by the armies' firepower and freshets of blood enriched the oozing muck." Quote made by Paul Treatman, an Army combat medic with the 1st Infantry Division. "The death and destruction was unbelievable. Dead bodies were stacked, like logs, awaiting recovery. 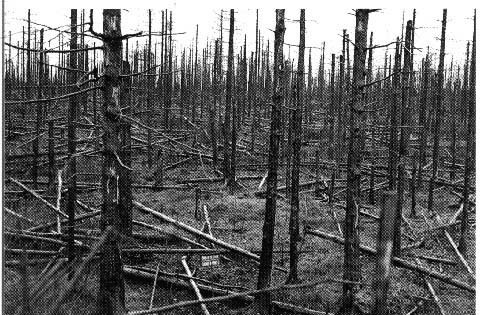 Whole sections of forests were sheared off 50 to 60 feet above ground by incoming artillery tree bursts. D Company, full strength being 193 men, was reduced to 8 men, a sergeant and 7 privates. I was one of 110 replacements. Three months later there would be 10 of us left." Quote made by John R. Weinert, C Company, 12 Regiment, 4th Infantry Division. "My message to young people is never for a moment glorify war. Whether war appears to be for a good cause, or even a dubious cause, never think that war is a satisfying experience. War will ultimately hurt everyone involved, and you will carry it for the rest of your life." Quote made by Joe Thimm, K Company, 395th Regiment, 99th Infantry Division. "The combat soldier has something in his memory that will drive him insane for the rest of his life"
"I'm not the same man"
"I'm not the boy of seventeen, eighteen"
"I'm a different man now". Quote made by Tony Vaccaro of Headquarters Company, 2nd Battalion, 331st Regiment, 83rd Infantry Division.